Helen Churchill Candee, who survived the sinking of the Titanic, holds one of her grandchildren, circa 1917. The Lockwood-Mathews Mansion Museum at 295 West Ave., Norwalk, reopens for its 46th season on April 11 at noon with docent-guided tours and a new calendar of events for children and adults. On April 21, the museum will celebrate the beginning of its new season with an opening night gala co-chaired by LMMM Trustees Linda Fontaine and Victoria Vandamm. The event will feature a preview of the exhibit, "Epic Voyage: The Extraordinary Life of Titanic Survivor Helen Churchill Candee" and a special presentation by Dr. Stephen M. Coan, president and CEO of Sea Research Foundation and Mystic Aquarium. Coan will discuss the enduring legacy of the RMS Titanic as part of a centennial observance of the maritime disaster that claimed 1,517 lives. Coan, a noted authority on saving the world's oceans, will be joined on video by his colleague, famed ocean explorer Dr. Robert Ballard, who first discovered the wreckage of the Titanic in 1985. The exhibition will open to the public April 25 at noon. The Opening Night Gala will be catered by Michael Gilmartin's Outdoor Cookers. Gala tickets are $200 for Rotunda seats and $150 for the Adjoining Room. For Reservations call 203-838-9799 ext. 4 or email info@lockwoodmathewsmansion.com. The exhibition will focus on the life and times of one of the survivors of the RMS Titanic, Helen Churchill Candee, mother of Edith Mathews, whose husband was one of the owners of the mansion at the turn of the century. Photos, books, articles, letters, costumes and artifacts, many of which have never have been publicly exhibited, will interpret the history, customs and fashions of American life in the early part of the 20th century, allowing visitors to capture a glimpse of the Edwardian era. The exhibit will feature personal belongings of Helen Churchill Candee, including her writing case, letters, unpublished manuscripts, first editions of her books, and photographs on loan from her great-granddaughter, Rosemary Gillham. Additional material includes artifacts from the LMMM collection and loans from the Darien Historical Society and the private collection of Paul and Hadley Veeder. Candee grew up in New York and Connecticut and attended school in Norwalk and New Haven. She was a women's rights advocate, an author and a journalist. She published her first book, "How Women May Earn a Living" in 1900 and wrote for many publications including National Geographic, Atlantic Monthly and the Ladies' Home Journal. She eventually moved from New York to Washington, where she became a renowned interior decorator, one of the first in the U.S., working for President Theodore Roosevelt, among others. She was involved in Democratic politics and served on many civic boards. She had a very active social life, was a trustee of the Corcoran Gallery and a friend of First Lady Helen Taft. Candee was in Europe in the spring of 1912, when her son Harold was in an accident in the United States. She took the fastest way back, the RMS Titanic, on its fateful inaugural voyage to New York City. The largest passenger steamship in the world hit an iceberg on April 14, 1912, and sank, resulting in the death of 1,517 people. Candee fractured her ankle as she boarded Lifeboat 6, the same lifeboat as `Unsinkable' Molly Brown. She was one of the last women off and one of the 706 who were rescued. 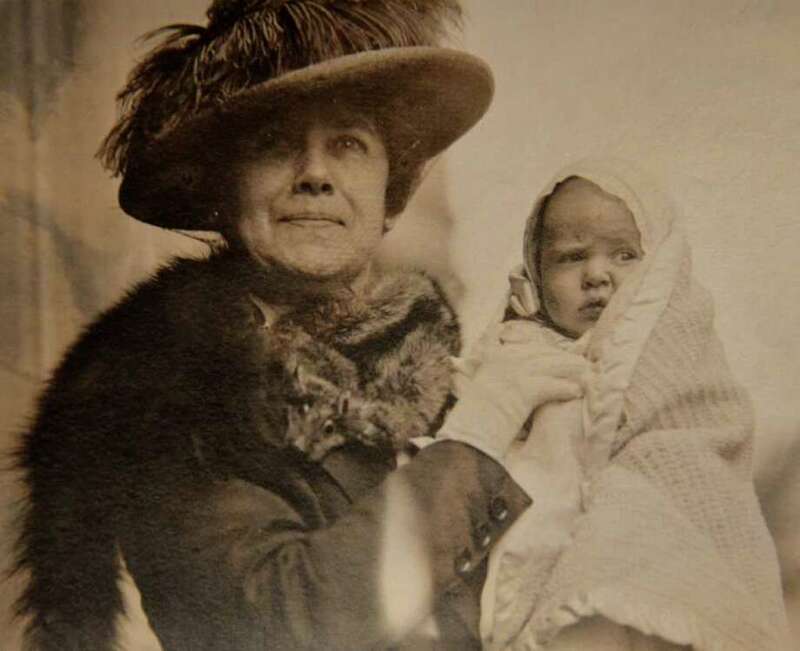 After her rescue, she recuperated at Elm Park (now the Lockwood-Mathews Mansion Museum), where she received a number of letters and congratulations from people like Helen Taft. She gave a short interview to the Washington Herald and subsequently wrote a detailed article for Collier's Weekly, which included her description of life on board the ship and sneaking up to the bow. The following year she was one of the leading riders in the `Votes for Women' parade on Pennsylvania Avenue. She was a nurse in Italy under the auspices of the Red Cross during World War I, and she continued to write books and articles, and travel to Japan, China, Indonesia and Cambodia. Her greatest work, Angkor the Magnificent, is considered the first major English language study on that Khmer temple, and led her to a subsequent career as a lecturer. This year, the LMMM Student Program will introduce young visitors to the mansion's history, architecture and collections as well as the opening exhibit. Portions of Mystic Aquarium's new exhibit, "Titanic -- 12,450 Feet Below," along with video of Ballard's discovery of the doomed ocean liner, will also be on display. April 25-Oct. 14, 2012, 12-4 p.m.
"Epic Voyage: The Extraordinary Life of Titanic Survivor Helen Churchill Candee" will be on display from April 25 to Oct. 14. Admission is $10 for adults, $8 seniors and $6 for children 8 to 18.